The Green Boot Program is an opportunity for agencies on post to enhance their missions through resource stewardship. The goal of the program is to reduce environmental impacts at a unit or directorate level and reallocate the funds saved through initiatives such as water conservation, energy conservation and recycling to other aspects of the mission, ultimately securing Fort Bragg as a functional installation for future generations. 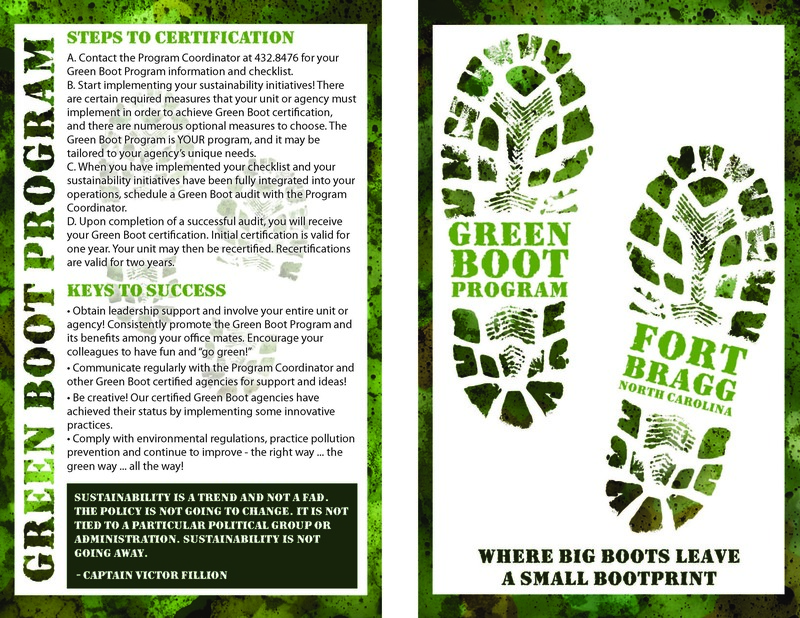 There are currently 22 organizations on Fort Bragg that are Green Boot certified. Join the ranks of these elite units and agencies! It’s the right thing to do! To participate in the Green Boot Program, any unit or agency on Fort Bragg can contact the program coordinator for the Green Boot checklist and further instructions at 432.8476. 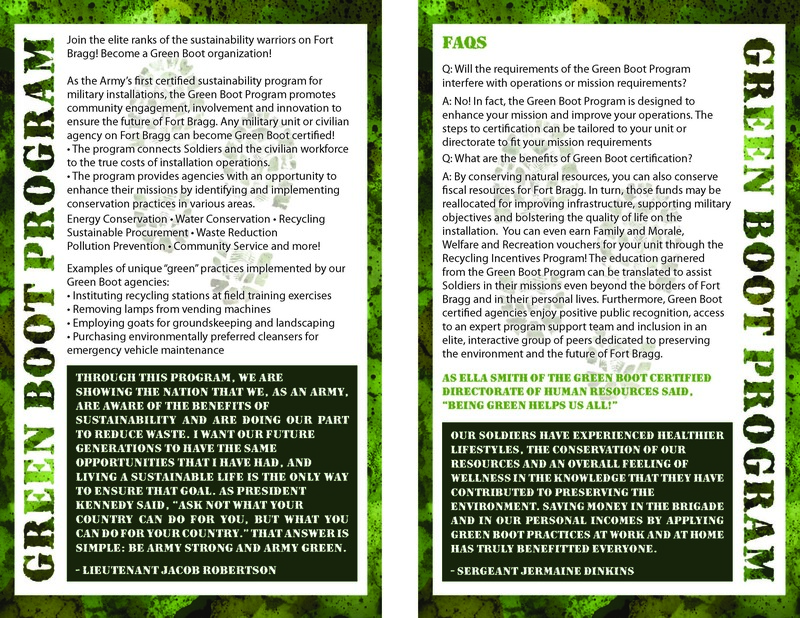 Select the images to see the Green Boot Program brochure! I am interested in helping my unit become a green boot building. We are on fort bragg in E3323 off of El Salvador rd. I would love to assist you with getting your unit certified with our Green Boot Program! Please contact me at mindy.r.love-stanley.ctr@mail.mil and I will send the program information and checklist to you!